This exchange occurred about two weeks after I floated another idea to a different group, including the head of a community development corporation. 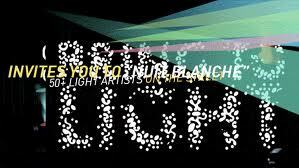 This earlier idea was to produce a Nuit Blanche light art festival in Phoenix. One colleague noted “I just want to mention that I love this idea. I’m curious about the funding. . . The last time I spoke with the Public Art Program they expressed their budget cuts and other such woes.” The third and last idea I “floated,” just a few hours ago, is to initiate a series of theatre salons akin to those happening in San Francisco, as described on the HowlRound #newplay blog. Trying to make use of my social networks, I posted that idea on Facebook but only received a couple responses. “I’m up for it if there’s collective interest.” So far — granted it’s only been out there a few hours – there doesn’t seem to be enough collective interest. As I reflected on these three examples, I notice that although they are each quite different, they possess several commonalities. 1) They each require an expansion of organizational capacity, although at differing scales. 2) Social media played some role in idea generation and/or dissemination. 3) All three ideas originated in other places: Power2Give in Charlotte, Nuit Blanche in Paris, and the salon idea in San Francisco. None are homegrown, and thus none are truly innovative. They are ideas that were created, incubated, and implemented elsewhere already. Perhaps capacity will follow true innovation. I’ve always been an “if we build it they will come” kind of person. The talent is here, the money is here (even if it’s very conservatively invested), the passion is here. Capacity will grow to meet the needs of homegrown cultural innovation. 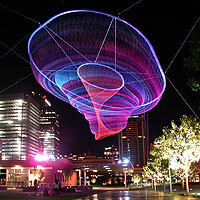 These three ideas might not be right for Phoenix, but others will be. I have to believe. This entry was posted in Arts funding, arts infrastructure, Culture and democracy, Uncategorized and tagged arts advocacy, Arts funding, arts policy, Creativity, cultural economics, innovation, Local economies, Philanthropy, symbolic capital. Bookmark the permalink.